Finally reopened in 2009 after extensive remodelling by the British architect David Chipperfield, this stunning building now houses the Egyptian Museum and Papyrus Collection, the Museum of Prehistory and Early History and various artefacts from the Collection of Classical Antiquities. The museum’s most famous object is the bust of the Egyptian queen, Nefertiti, which Germany refuses to return to Egypt despite repeated requests, and the skull of the Neanderthal from Le Moustier. 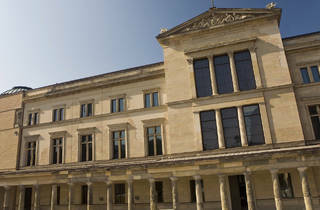 The Museum für Vor- und Frühgeschichte (Prehistory & Early History), which traces the evolution of homo sapiens from 1,000,000 BC to the Bronze Age, has among its highlights reproductions (and some originals) of Heinrich Schliemann’s famous treasure of ancient Troy, including works of ceramics and gold, as well as weaponry. Keep an eye out also for the sixth-century BC grave of a girl buried with a gold coin in her mouth. Information is available in English. 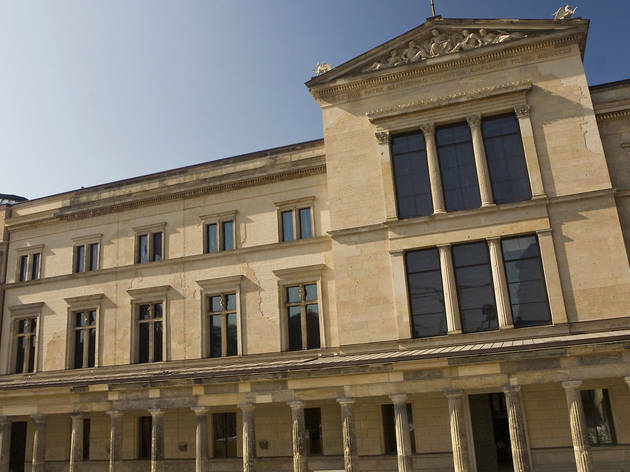 The Neues Museum has become such a hit that the museum authorities have had to limit visitor numbers by issuing timed tickets – book in advance if you can, and turn up within a half hour of the time you are given. You can sometimes buy tickets at the counter, but don’t count on it. Open 10am-6pm Mon-Wed, Sun; 10am-8pm Thur-Sat. Entry by timed ticket. U6, S1, S3, S2, S25 Friedrichstr., S3, S5, S7, S75 Hackescher Markt.